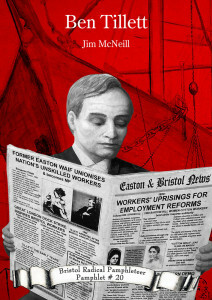 The Bristol labour revolt against the tyranny of Capitalism was the logical outcome of the successful campaigns of the London gas stokers and dockers, and was the first utterance by the mass of the people of the socialistic truths, that “if any will not work neither shall he eat,” and that the workers must have the full result of their labour. 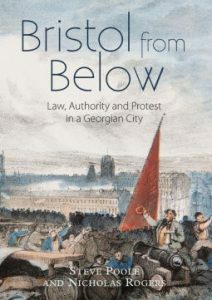 With very few exceptions the workers gained honourable victories, their demands being indisputably just, and merely a tithe of their rights…Compared with other cities in England which have passed through similar crises the Bristol record of strikes is a very hopeful one, and the Committee confidently affirms that the enlightened view held by the majority of working men and women of this city augur well for the labour movement of the West of England. 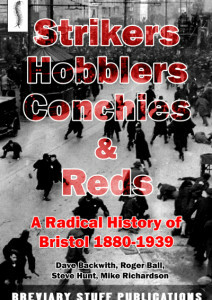 This gallery contains portraits of the activists involved in the Bristol Strike Wave of 1889-90. 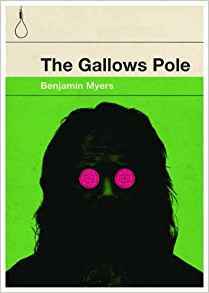 It also contains some contemporary satirical cartoons from The Bristol Magpie. 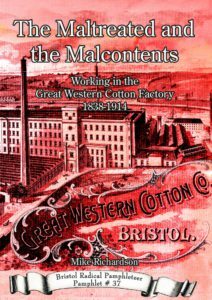 These pictures were found in Bristol Central Reference Library and you should contact them if you wish to reproduce them (refandinfo@bristol.gov.uk). 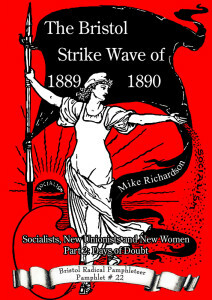 To read more about the Bristol Strike Wave buy Mike Richardson’s two pamphlets: The Bristol Strike Wave of 1889-1890 Socialists, New Unionists and New Women – Part 1: Days of Hope and The Bristol Strike Wave of 1889-1890 Socialists, New Unionists and New Women – Part 2: Days of Doubt. Miriam Daniell, was a member of the Bristol Socialist Society, treasurer of the Bristol Strike Committee, 1889-1890, and honorary secretary, along with Helena Born, of the Bristol Tailoresses’ branch of the Bristol District of the National Union of Gasworkers and General Labourers’ of Great Britain and Ireland. 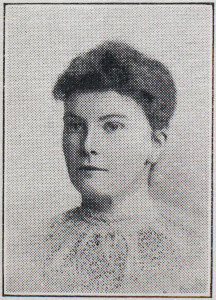 From S. Bryher Bristol Labour and Socialist Movement in Bristol, (1929) P 5. 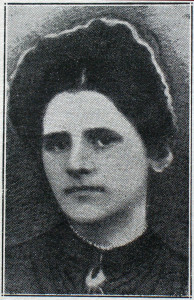 Helena Born, was an executive member of the Bristol Women’s Liberal Association, a member of the Bristol Socialist Society, secretary of the Bristol Strike Committee, 1889-1890, and honorary secretary, along with Miriam Daniell, of the Bristol Tailoresses’ branch of the Bristol District of the National Union of Gasworkers and General Labourers’ of Great Britain and Ireland. 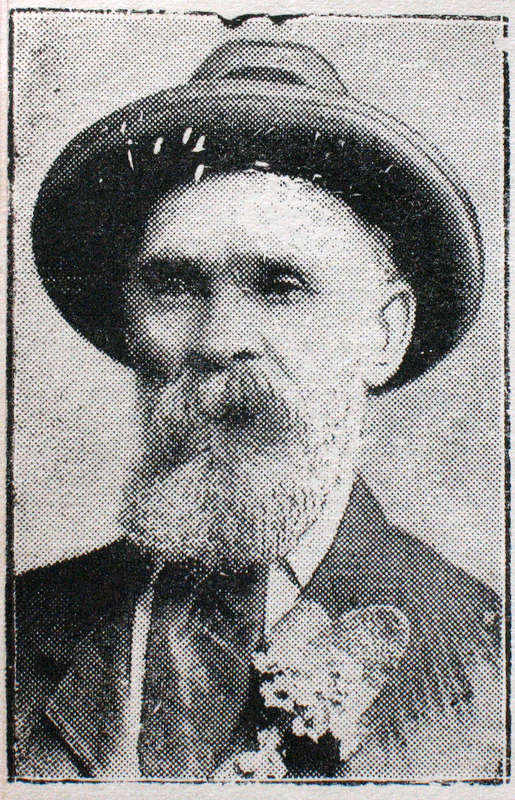 From S. Bryher Bristol Labour and Socialist Movement in Bristol, (1929) P 6. 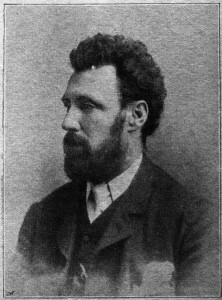 Robert Allan Nicol, was a member of the Bristol Socialist Society and became organising secretary of the Bristol Strike Committee in October 1889. 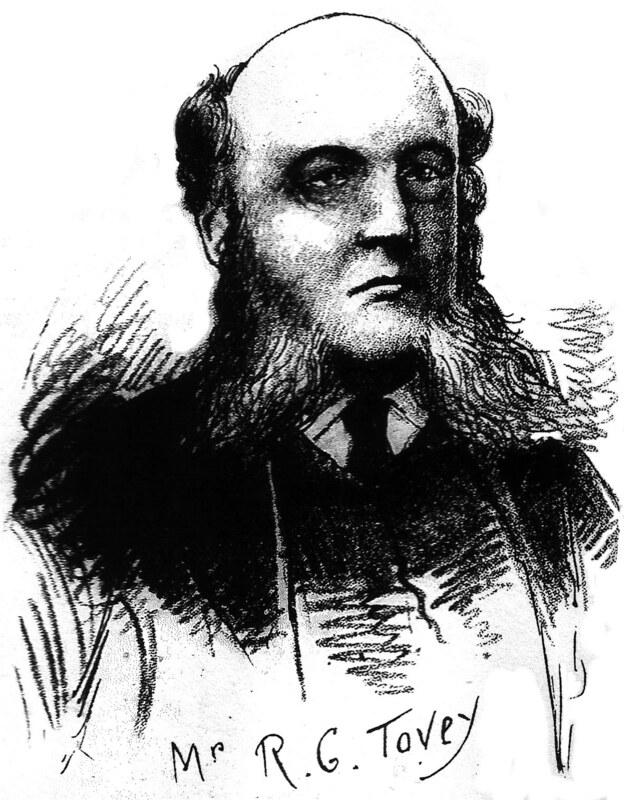 He went on to become the first Bristol District secretary of the Gasworkers’ and General Labourers’ Union. 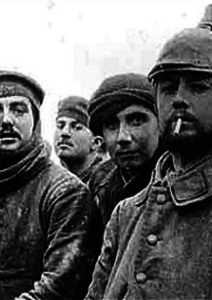 Thanks to Professor Georges Rey, Dept. 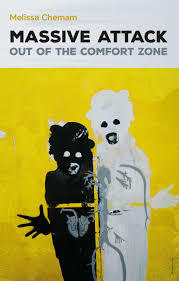 of Philosophy, University of Maryland for sending us this picture. 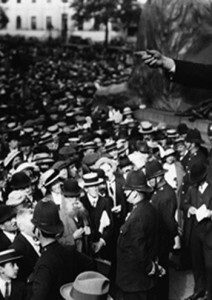 Ben Tillett, was born in Easton, Bristol in 1860 and founded the first unions for unskilled workers and a union leader in the Great London Dock Strike of 1889. 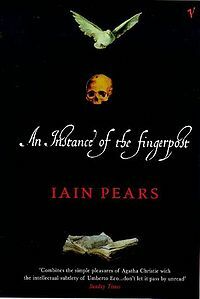 He went on to be a founder member of the Independent Labour Party, the Labour Party and the Daily Herald Newspaper. 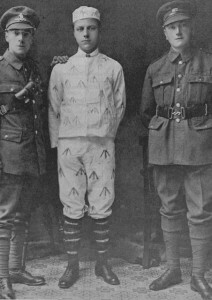 At various times he was also the Alderman of London County Council, Labour MP for Salford North and Chair of the Trades Union Congress. 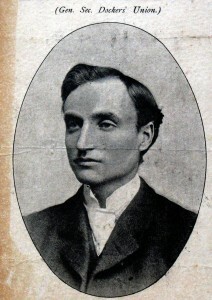 From a handbill in Bristol Socialist Society ‘Justice’ scrapbook which can be found in Bristol Central Reference Library. Dan Irving, was a member of the Bristol Operatives’ Liberal Association, a member of the Bristol Strike Committee, a member of the Bristol Socialist Society and a member of the Railway Workers’ union (he was elected to parliament in the 1918 General Election as a Labour MP). From Bristol Socialist Society ‘Justice’ scrapbook which can be found in Bristol Central Reference Library. John Gregory, a socialist poet, was the first secretary of the Bristol branch of the National Union of Boot Riveters and Finishers, a leading member of the Bristol Trades Council and a member of the Bristol Socialist Society. 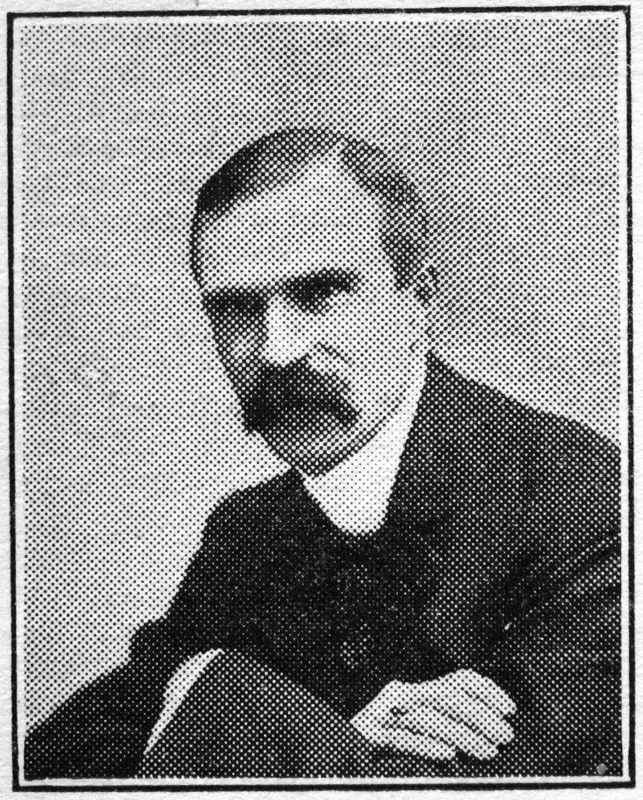 From S. Bryher Bristol Labour and Socialist Movement in Bristol, (1929) P 12. 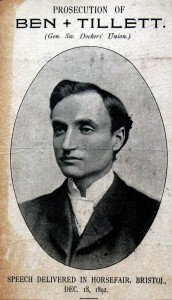 Edward J Watson, was a trainee Bristol solicitor and a member of the Bristol Socialist Society. 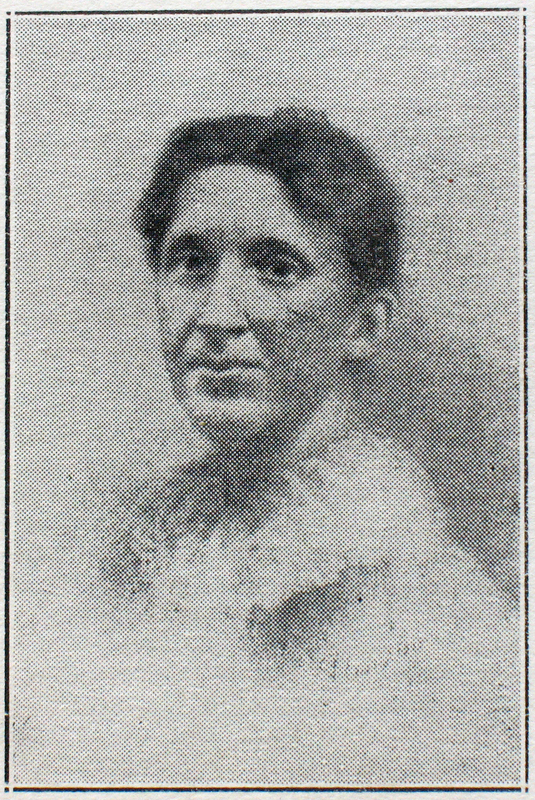 From S. Bryher Bristol Labour and Socialist Movement in Bristol, (1929) P 16. Robert Tovey, was Bristol’s first Labour Councillor (1887), a member of the Clothiers’ and Cutters’ Association, and honorary secretary of the Bristol Labour Emancipation League. 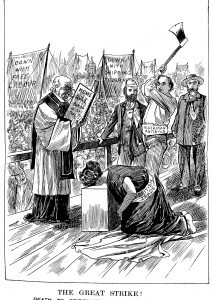 A detail from a cartoon ‘Candidates for the municipal elections’ published in The Bristol Magpie, 1890. 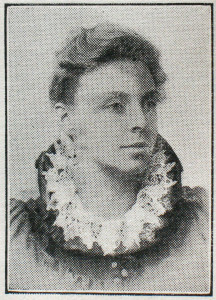 Enid Stacy joined the Bristol Socialist Society after Barton Hill women cotton workers crowded into the Sunday service of All Saints Church, Clifton, of which she was a member, to demonstrate their grievances. 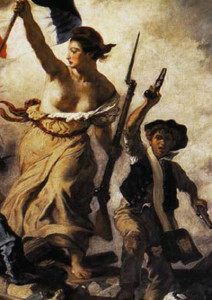 Stacy went on to become a leading member of the Independent Labour party. 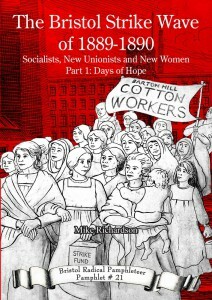 She led the 1892 strike of Bristol confectionery workers. 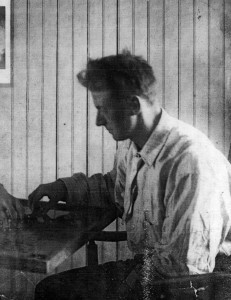 From S. Bryher Bristol Labour and Socialist Movement in Bristol, (1929) P 22. Katherine St John Conway, like Stacy, joined the Bristol Socialist Society, following the cotton workers’ demonstration at her place of worship, All Saints Church, Clifton. 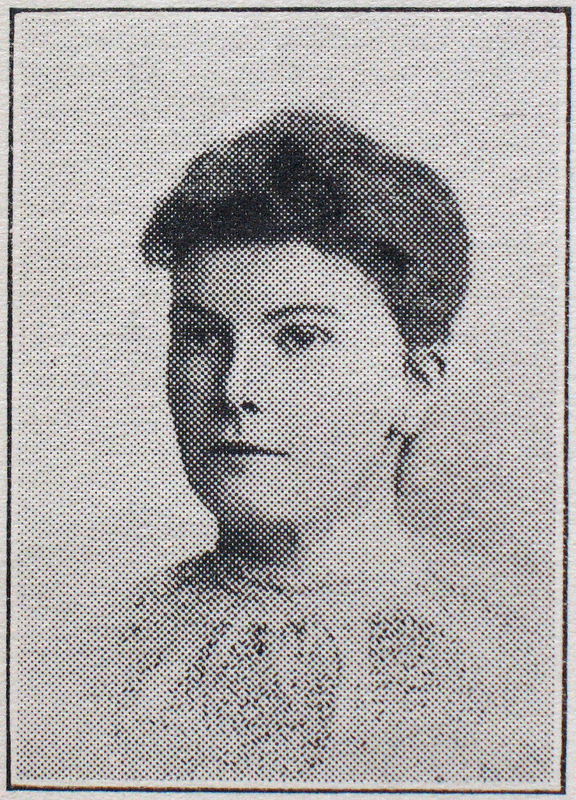 She left to join the Fabian Society and later the Independent Labour party, of which she became a leading member marrying fellow Independent Labour Party member John Bruce Glasier. 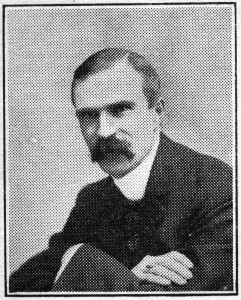 From S. Bryher Bristol Labour and Socialist Movement in Bristol, (1929) P 29. The Tug Of War! 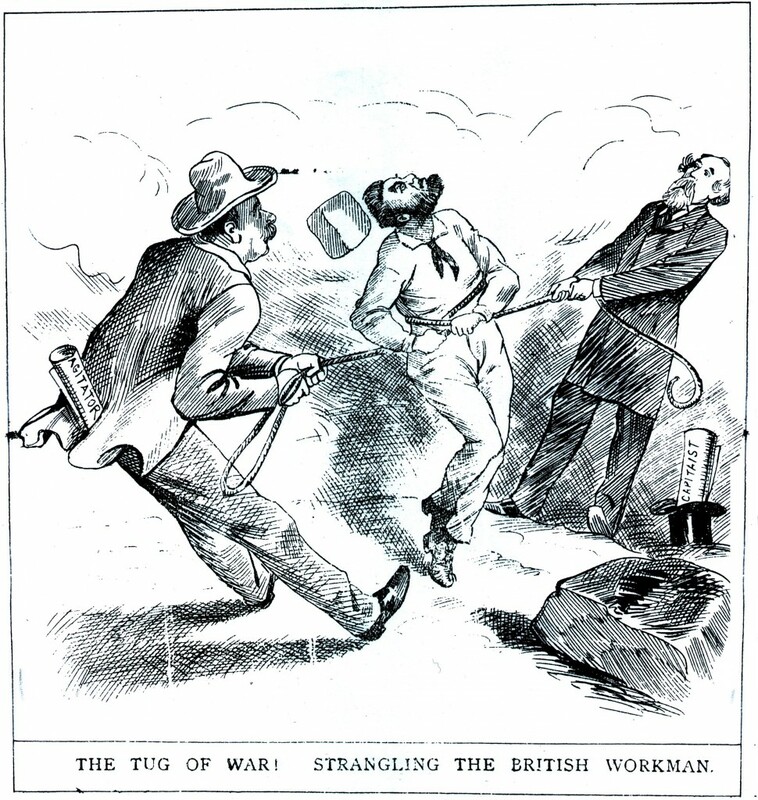 Strangling The British Workman. The Bristol Magpie Saturday November 23rd, 1889. 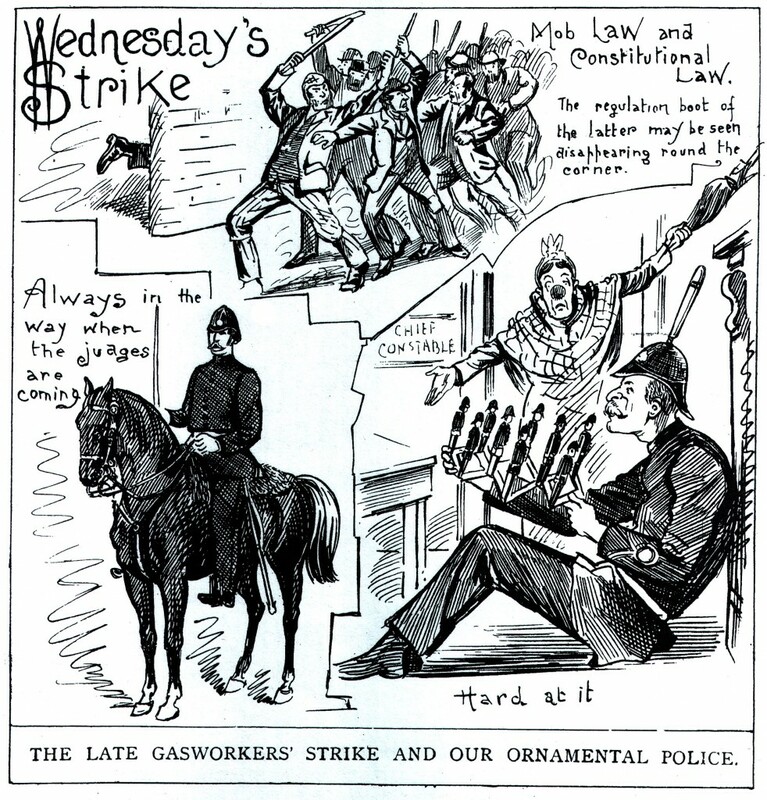 The Late Gasworkers’ Strike And Our Ornamental Police – The Bristol Magpie Saturday October 19th, 1889. 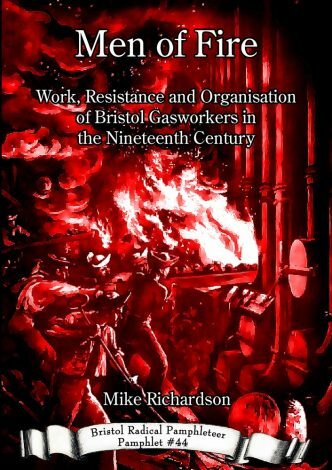 The Gas Strike – The Bristol Magpie Staurday, October 12th, 1889. 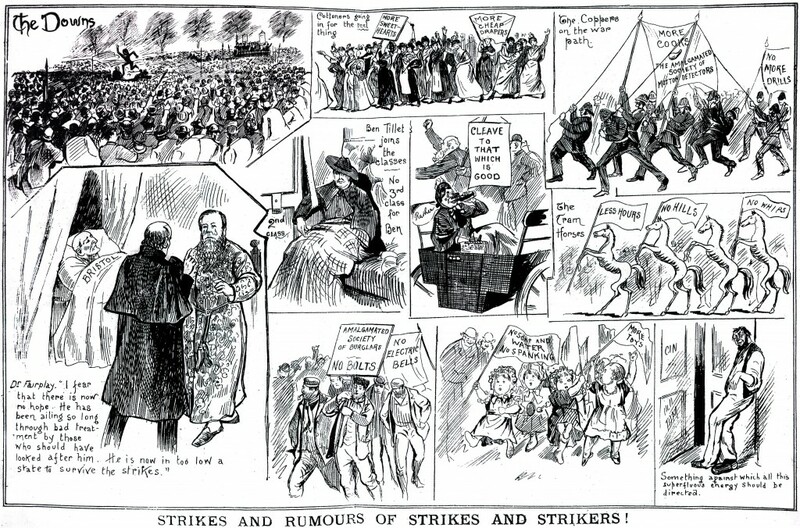 Strikes, and rumours of strikes and strikers! 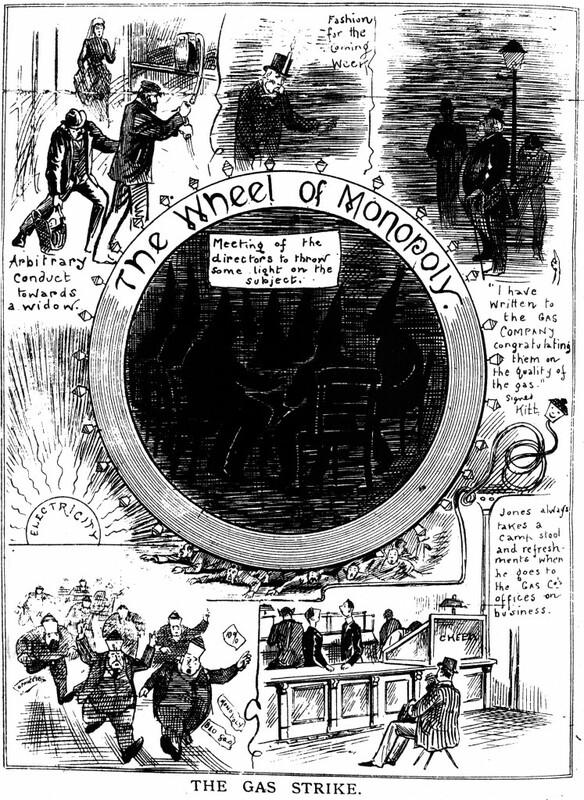 published in The Bristol Magpie Saturday, November 2nd, 1889. P 10.